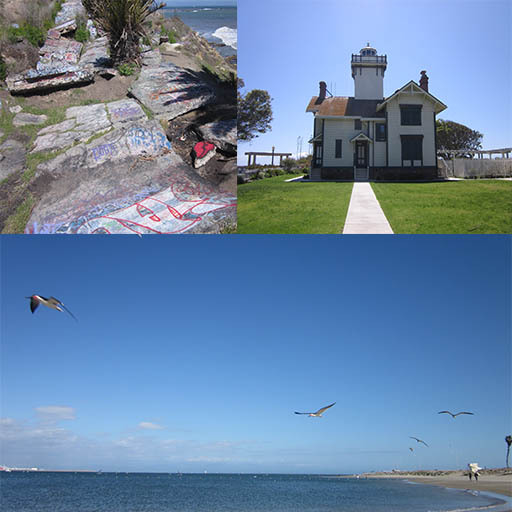 San Pedro, CA has many cool places that you can explore for free such as the Lost Sunken City, Point Fermin Lighthouse, Korean Bell of Friendship, and Cabrillo Beach Park. All of these places are all almost right next to each other, which make it really easy for you to visit all of them in one day. 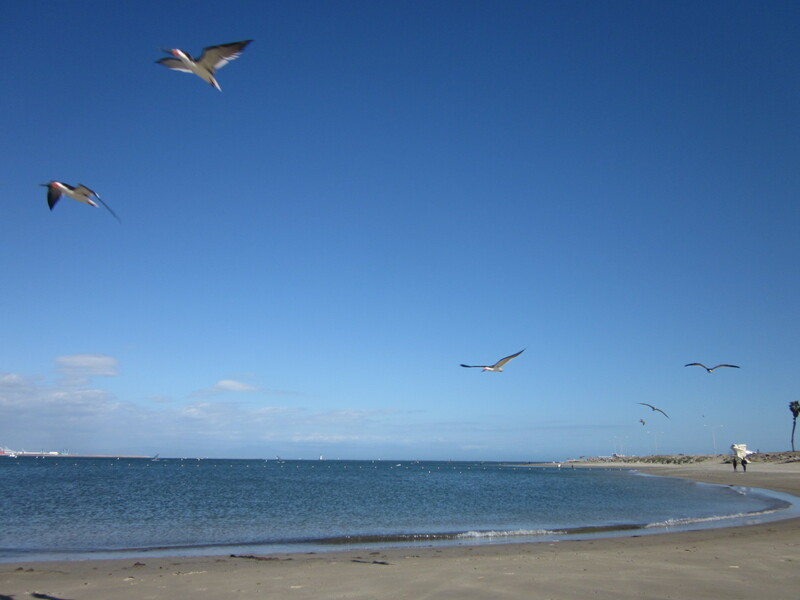 By following this day trip, you will get to explore a hidden ground of sunken city, visit historical sites, picnic in a park, and chill on a beach! This trip should take at least 3 – 4 hours if you’re not in a rush and it depends on where you drive from. I live in Orange County, so it took me about 45 minutes to make my way out to San Pedro; it is right next to Long Beach in case you have never heard of the city before. Bring food for picnic! We’re going to a park and a beach, and I enjoy eating under a tree during a warm breezing day a lot. Also, some cash as there’s a cafe nearby that you can grab some drinks and get food if you don’t want to go through the trouble of preparing food. Lost Sunken City is technically gated off to the public, so by entering it, you’re trespassing, so I suggest that you bring courage with you because you’re about to break some law. Hey, life is all about breaking rules right? This park is beautiful and it sits on a cliff which provides you a stunning view of the coastline. Many locals come here on weekends for a picnic and to spend time with family. There’s a nice little playground for children. There are also benches and picnic tables. However, I like that this park has a historical site, which is the Point Fermin Lighthouse. It is free to visit and it contains cool artifacts. You can enter the building with a tour and explore! 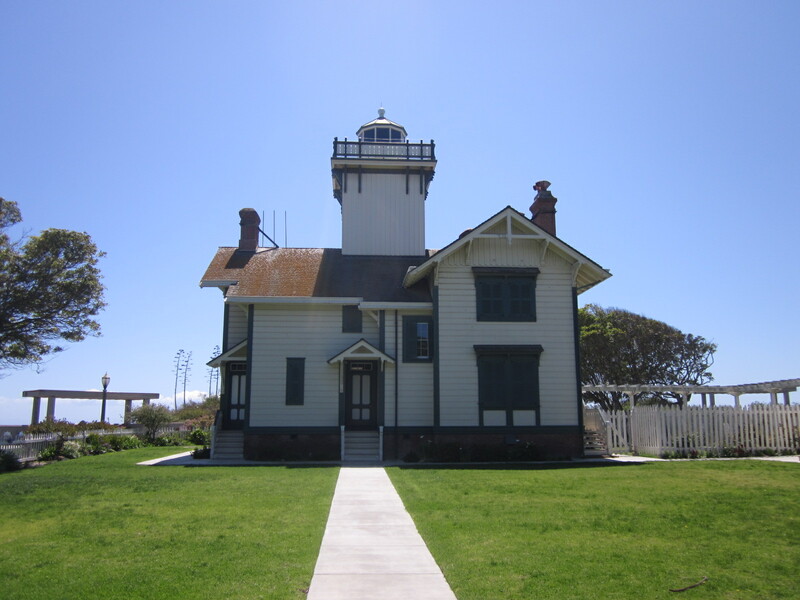 Read more about Point Fermin Ligthhouse here to help you explore! This expensive housing project got destroyed by a landslide a few decades back. Now what is life is broken roads and interesting concretes formation. People have broken in for years and the entire place is covered with amazing graffiti arts! If you’re into urban arts, this is definitely a place to explore. 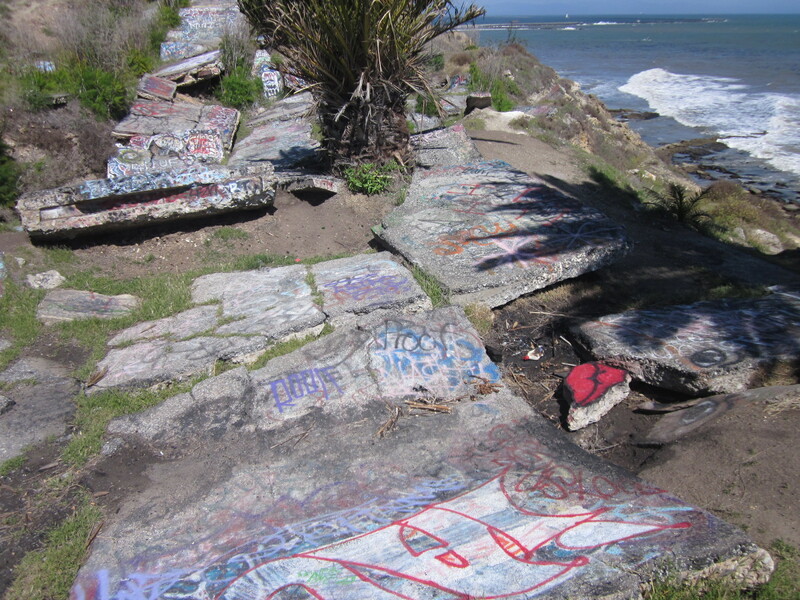 Lost sunken city is located at Point Fermin Park. Once you enter the park, you will see a gated section to the left of the park. The metal wall is so tall and dominated you cannot miss it. Well, sunken city is on the other side. Read more about exact detail, direction, and how to explore Lost Sunken City here. The monument was a gift to the U.S. back in mid 1900’s to celebrate and honor Korean Wars veterans. 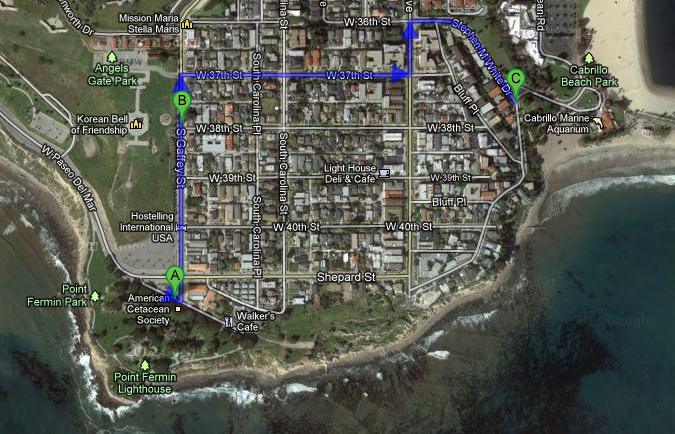 The pavilion is located in Angeles Gate Park, which is literally right up the street from Point Fermin Park. Today, the ground is open for the public to visit and appreciate. I went on a pretty windy day, so there are many people out there kiting and doing all sorts of activities involving wind. If you like to kite or fly remote controlled planes, this park seems to be a great place for you! This park is pretty open with not too much shade. Point Fermin would be a nicer to place to have a picnic, but Angeles Gate park is also nice if you want a day full of sun. 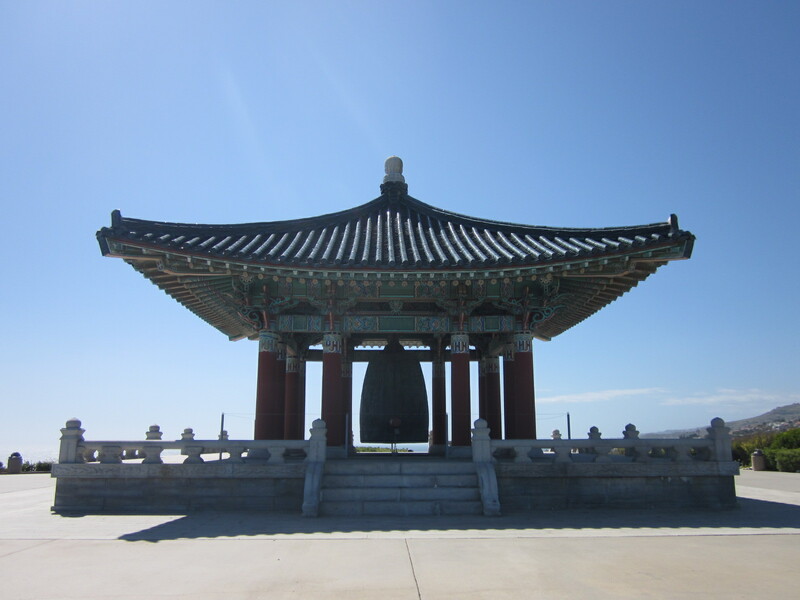 Read more about Korean Bell of Friendship! After a day full of exploring, you can now relax on a beautiful beach and take in California sun. It is only about a few minutes drive from the Korean Bell of Friendship. However, there’s cost associated with entering the park. I don’t remember exactly how much it is though! Parking is plenty and there are a few picnic tables. I walked down to the beach, sat there, and just stared into the vast ocean. Although the port and power plant may ruin the view quite a bit, but there were barely anyone else there on the day that I visited, which was in Spring, it made everything much better. I always get irritated by the crowd at popular beaches such as Newport or Laguna. I live in the area and you should probably be a responsible journalist, or even if you’re just a blogger, you should warn people that Sunken City is protected by a fence. If you get caught you will be arrested for trespassing and fined heavily. That is why the fence is there!